Running a loot hunt for Battleborn has been on my todo list ever since I first heard about them from the Borderlands community. Given this is the 2nd Anniversary since the game was released, I felt it was finally the time do it! Unlike the Borderlands version, there will be no spreadsheets! Instead all you need to do is register for the event and tag your screenshots on your platform of choice. Update: Posted some more info about the Loot Hunt in a tweet thread. In order to verify drops, every submission must include a screenshot of the drop from the mission complete screen. There are 3 things used to validate a screenshot, username, legendary drop and the match id. As long as these 3 things are legible, the screenshot is considered valid. When determining the winners, all submissions will be checked to confirm they meet these requirements. If you forget to take a screenshot of the mission complete screen, you can use the match history to check past missions. You can only go so far back though, so make sure to stay on top of it! You can optionally include which platform you are on when you submit a drop. Valid values are PC, PS4, Xbox/XB1. Twitter submissions need to be in the format: <gear> <platform> #loothunt. You can add other hashtags, but the raw text must not include anything else otherwise the bot won’t be able to determine what item it is. Forum submissions need to be in the format: <gear> <platform> #loothunt. To comply with forum requirements, submissions to the forums must be wrapped inside a “Hide Details” tag. Post your drops by replying to this thread. Discord submissions are a little different. If you are familiar with lowlibot on the Unofficial Discord Server, bbday-bot is new bot created specially for the Loot Hunt. Use the !drop <item-name> <platform> command and the bot will provide feedback on whether a submission was successful or not. If it gives you the sunglasses reaction, it means your submission was accepted! You can find the bot in the #bbday-bot channel on both the Unofficial Battleborn Server and the Battleborn Day Server. There are 55 legendaries that drop from bosses across the Story Missions and Operations. Gear that can drop in any difficulty are worth 10 points whereas gear that can only drop on advanced difficulty are worth 15 points. To discourage farming missions that have more bosses than others, submitting the same drop multiple times will be worth significantly less points for each subsequent drop. You can continue to submit drops past 3, they just will only be worth a fifth of the original point value. I’ve set up a modified Magnus AI that tracks your submissions and adds them to the database. I don’t know how it all works honestly! You’ll be on the hunt for legendaries that drop from bosses in story missions. Getting doubles will still get you points, but you’ll get diminishing returns so you’ll want to obtain as many unique legendaries as you can over the course of the event! What Will I Get If I Win? While earning lots of legendary loot is it’s own reward, there are also special prizes for the top 3 scores! If you aren’t familiar with Community Gear Cards, they are a custom-made legendary items based on community members. I’ve made quite a few of them in the past, but these ones will be special 2nd Anniversary editions. If you happen to already have one, you can choose to either have your current one upgraded or get an entirely new gear card made. These will be delivered after the event is over and I’ve had time to work on them. IMPORTANT: This thread will be locked by a moderator until the event starts to limit the number of posts the bot will need to check when it gets turned on. If you wish to discuss or ask questions about the Loot Hunt or any of the other events being held during Battleborn Day, feel free to drop a comment on the Battleborn Day thread. The Battleborn Day loot hunt is live! You now have exactly 1 week to rise to the top of the leaderboards and show everyone how much RNG favours you! You can submit drop via the forums by replying to this thread (below is a quick example). Make sure to use the Hide Details tag to comply with forum submission guidelines! Note that if you include any extra text in your post, the bot will treat it as invalid! Feel free to contact me if you are having issues. You still have some time to signup, especially if you want to earn the special "Legendary Looter" sticker for the Bro Certificate! However, once the drops start coming in, I will be closing it off! Just remember it’s a separate post for each drop! The bot will not go back and check posts it has already scanned, and it also checks this thread every 60 seconds. I can’t keep updating one post? And a separate post for each picture or can I bulk them together? Otherwise it’d get way too complicated to scan and detect when one drop starts and another drop ends. show everyone how much RNG favours you! I sacrifice two goats and a virgin to RNGesus everyday. That’s how I have gotten 9 Kulve Taroth gems in MHW so far. I probably won’t bother with the loot hunt myself, but I’ll join some of my peeps that are doing it for the sake of talking ■■■■ and memeing with them. Oh man! It’s on! You are the second person to submit drops to the loot hunt! I’ve gotten a few from Discord a few minutes ago! You are the second person to submit drops to the loot hunt! Only 2nd? I really have to step up my game! Gonna enjoy this though. It’ll be fun to have a reason to go back and do PvE again rather than doing it for the sake of doing it. I’m curious to see how many unique boss drops a person can get in the span of a week. Kitru told me it was extremely unlikely to get them all. Kitru told me it was extremely unlikely to get them all. Indeed it is. 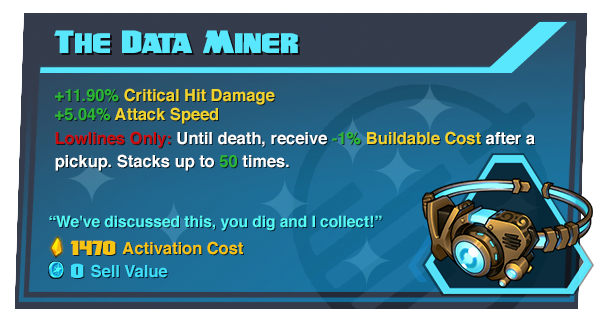 While some legendaries such as ISIC’s Firmware update have high drop rates, some like Boots of the Brute have abyssmal drop rates. Took me ~55+ runs to get my first piece. I already got all unique legendaries that are scored in this (too bad it’s not applied retroactively! ), but I’m hoping to get max roll versions of those I don’t have max rolls of. Need to go through to check which ones they are, but Boots of the Brute & Song of Vigor comes to mind. Most other of the non-max roll are unfortunately from packs. Btw I just checked, you had a stray “w” in the Veil Manipulator submission. You’ll need to resubmit it to count. I could have coded the bot to be more lenient with the submissions, but opted for clean submissions just in case random posts (ie twitter) matched a drop. You can use partial names of gear, just no extra characters. Btw I just checked, you had a stray “w” in the Veil Manipulator submission. You’ll need to resubmit it to count. Thanks. Good thing one of us is payong attention!